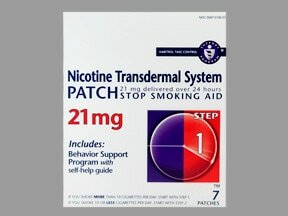 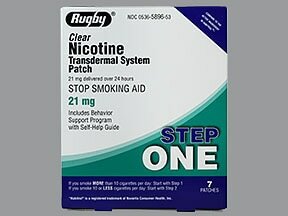 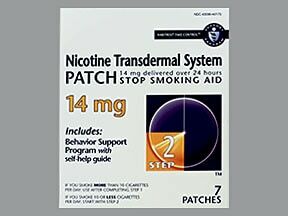 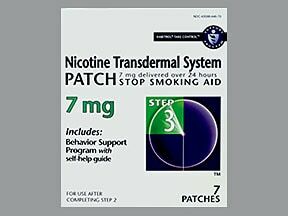 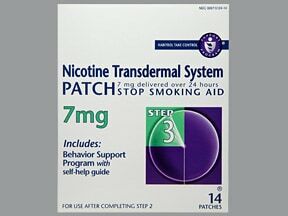 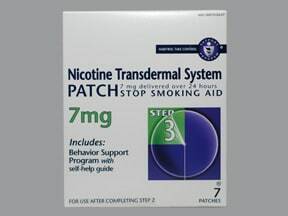 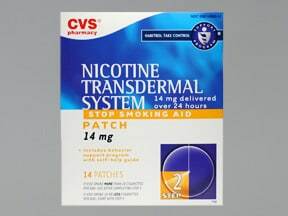 What conditions does Nicotine PATCH Patch, Transdermal 24 Hours treat? 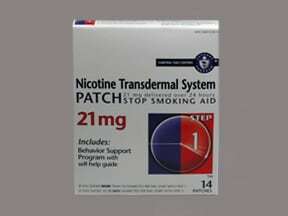 Stop using this medication and tell your doctor right away if you have any serious side effects, including: mental/mood changes (e.g., irritability, trouble sleeping, vivid dreams), numbness/tingling in hands/feet, swelling hands/ankles/feet. 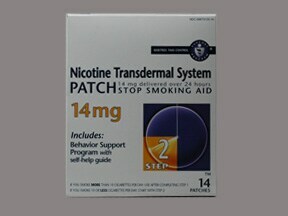 List Nicotine PATCH Patch, Transdermal 24 Hours side effects by likelihood and severity. Before using this medication, tell your doctor or pharmacist your medical history, especially of: blood vessel disease (e.g., Raynaud's disease, stroke), diabetes, heart disease (e.g., chest pain, heart attack, irregular heartbeat), high blood pressure, liver disease, severe kidney disease, stomach/intestinal sores (peptic ulcers), certain adrenal problem (pheochromocytoma), overactive thyroid (hyperthyroidism), seizures, skin problems (e.g., eczema, contact dermatitis). What should I know regarding pregnancy, nursing and administering Nicotine PATCH Patch, Transdermal 24 Hours to children or the elderly? 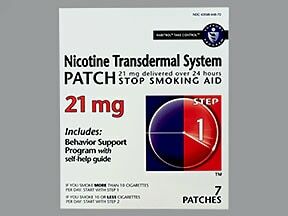 If you forget to change your patch on time, change it as soon as you remember. 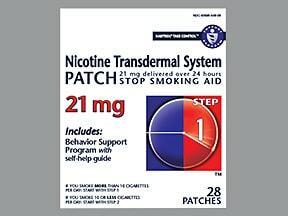 You can change your next patch 24 hours later or resume your usual dosing schedule. Do not double the dose to catch up. 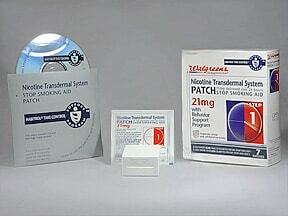 Do not flush medications down the toilet or pour them into a drain unless instructed to do so. 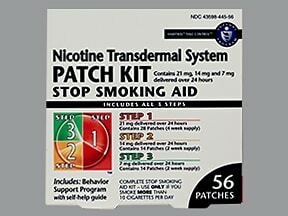 Properly discard this product when it is expired or no longer needed (See How to Use section).Information last revised July 2016. Copyright(c) 2016 First Databank, Inc. 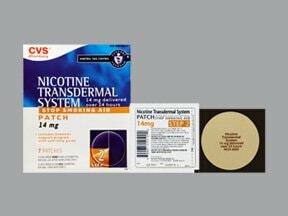 This medicine is a tan, round, transdermal system imprinted with "NCH 0830". 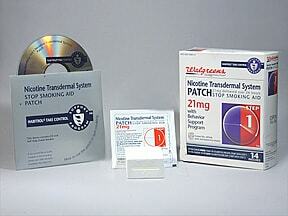 This medicine is a tan, round, transdermal system imprinted with "NCH 0820". 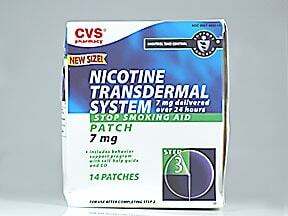 This medicine is a tan, round, transdermal system imprinted with "NCH 0810". 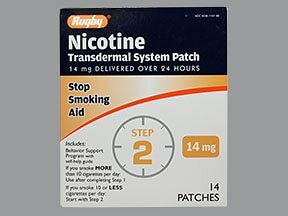 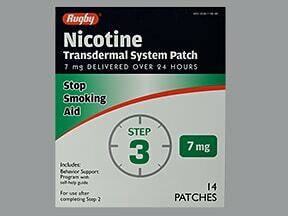 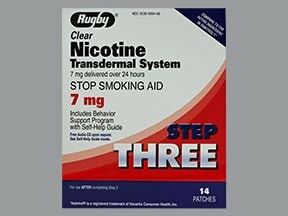 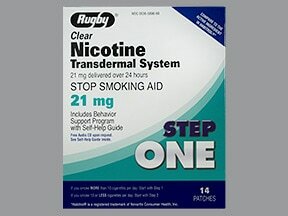 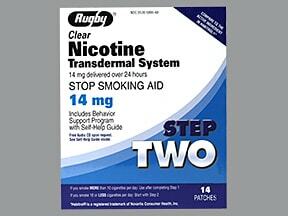 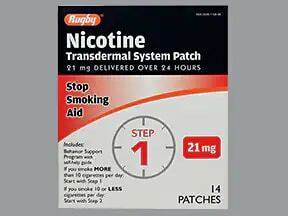 Have you ever purchased Nicotine PATCH Patch, Transdermal 24 Hours?